Hey everyone! The New Year is right around the corner, which I am so excited about. For me, the new year always means a fresh start: A chance to better yourself, or better the things you are doing. I wanted to reach out to all of you in hopes of getting an idea of what YOU all want to see on The Berger Bungalow. Don’t get me wrong, I’m not changing the content for the most part, but I do want to create that “fresh start” by giving you more of what you want! Food/Drink: Recipes, Restaurants, Wine, Events, etc. Travel: Where to go, Where/what to eat, Where to stay, What to do, Recaps of our trips, etc. Home: House updates, Married life, Fun projects, My favorite products (for home and self), The dogs, Our life, etc. Health: Healthy recipes, Products or brands that improve your life, Exercise (lol not much of that), etc. – Food // Restaurant experiences around Atlanta. Those are just a few of my ideas. What do you think? 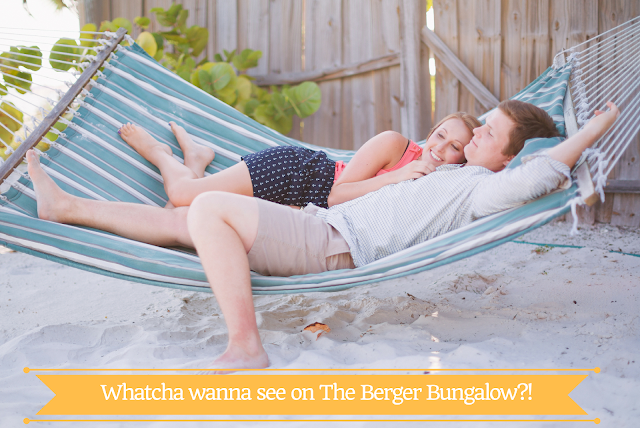 What would you like to see most on The Berger Bungalow in 2017? Travel? Food? Home? You can always name a few, if you want, and feel free to add anything that I don’t have on the list! For my travel posts, would you want to see one long post per city, or a few posts for each city breaking down where to stay, what to do, where to eat, etc. Is there anything you DO NOT want to see (no promises on this one)! I hope all of you have a fantastic holiday season!